Have the Space Raiders really invaded planet Earth? 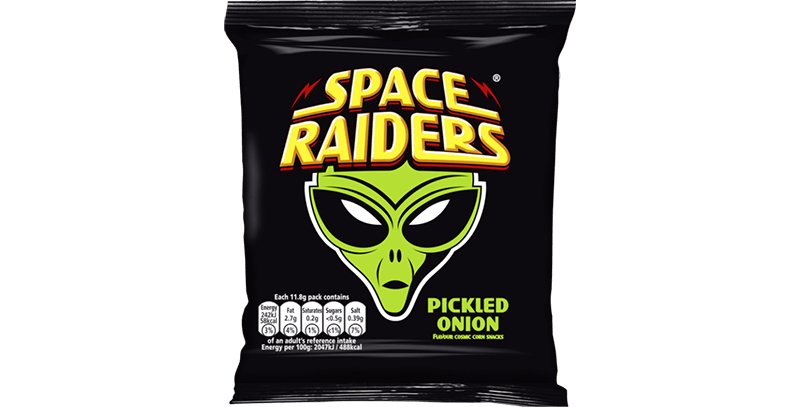 Made from corn and wheat, Space Raiders are a great value, out of this world snack which have gathered a fantastic fan base and a dedicated following over the past 30 years. People love the Space Raiders alien shape and its range of tempting flavours: Beef, Pickled Onion, Saucy BBQ and Spicy.